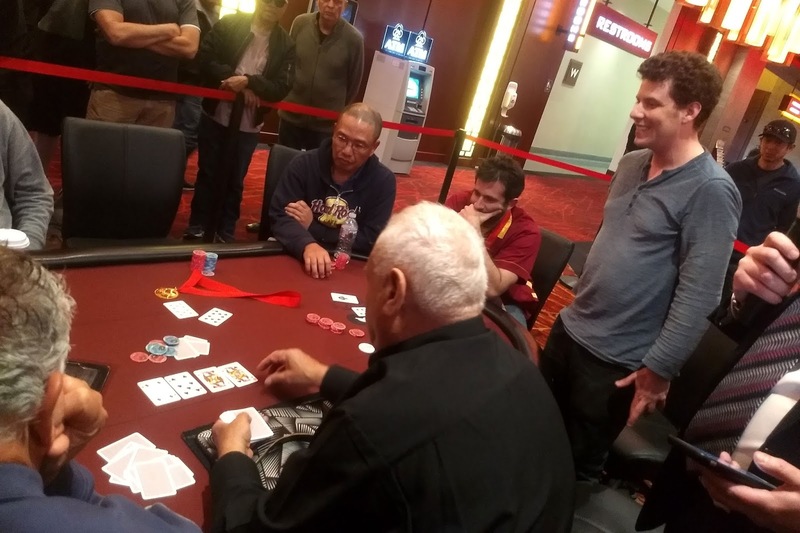 Ari Engel was all in holding [As][9s] against the [Ts][Td] of Casey McCarrel. The [4d][7s][Qh] brought no help for Ari, but the [Qs] on the turn gave him some hope with a flush draw. It was not to be, as the [7h] hit the river to send Ari to the rail with a mincash.